A very busy day for Stockton hall team! Its an extremely busy day for the Stockton Hall team with 4 runners spread across 3 meetings. The day gets off to a start with Quids In running in the novice hurdle at Stratford. The plan had been to run him at Wetherby on Friday but after severe congestion on the M52 we have had to reroute to here. He should have a very solid chance in this field. Jake Greenall takes the ride. Our second runner of the day is in the Conditionals Maiden hurdle over at Uttoxeter with Big Brother George going to post in what looks a competitive race. Hopefully the first time blinkers can help him bounce back from a disappointing effort at Exeter. Ryan Day takes the ride. 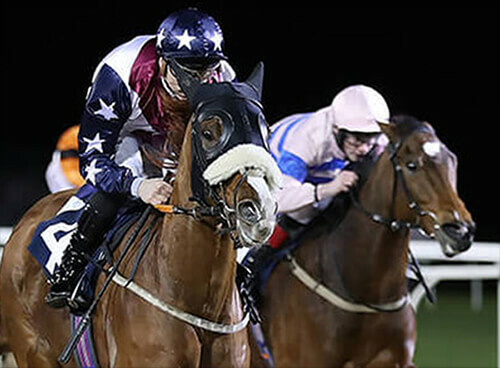 We are back at Stratford for the final runner from Olivers string with Badbad Leroy Brown looking for quick back to back victories after making a successful handicap debut at Hereford last Sunday.He seems to have come out of the race well and this is his last chance to run in a race of this grade so hopefully he can be very competitive. Rob Hawker takes off a very handy 7lb. Ed continues to have his pointers in top order and sends out one runner this weekend with Spoilt Sam heading to Bitterley with a good chance in one of the two maidens. Gillian Crow takes the ride.